What’s wrong with digital audio? According to many long-serving (suffering!) audiophiles, it’s digititus – a subtle sense of nervousness and agitation felt whilst listening to digital playback: music converted in the studio to digital and later decoded back to analogue via CD player or DAC. In order to rid us of this time-domain-blurring digititus at both ends of the chain, Stuart has established MQA (the company) as a vehicle for promoting and implementing MQA (the technology). 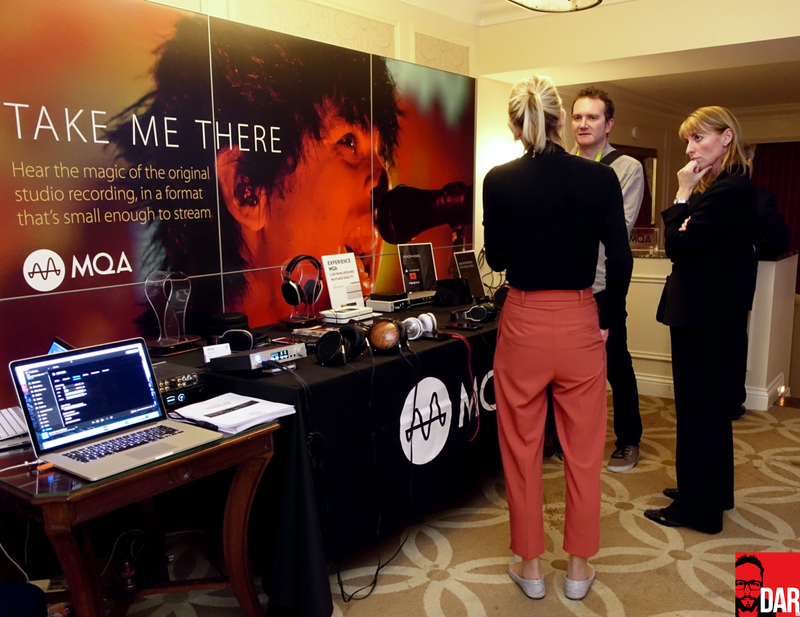 Talking to the softly spoken Brit at length and long distance from Australia to the UK, I learnt that MQA is the culmination of several decades of R&D. Stuart’s MQA mission? To design and implement an encode/decode process that offers end-to-end control: a) the studio digitally signs their final master (via an MQA workstation plug-in) that when seen by an MQA-certified playback device b) triggers an LED that proves the authenticity of a ‘studio quality’ MQA master. Ergo ‘Master Quality Authenticated’. This goes some way to solving provenance issues tarnish the reputation of hi-res download stores; any digital download vendor attempting to sell down- or up-sampled MQA content would be found out – the end user’s LED would refuse to light up. MQA makes crystal clear which music has remained untouched since leaving the studio. To Stuart, provenance is more important than file resolution. Such thinking seems to be ringing bells with those responsible for studio archiving and digital distribution. Through an intense travel schedule this past year, most extensively in Japan and Germany, Stuart has gained the ear of numerous studios, labels and digital distribution companies. The Japanese market is reportedly the most promising territory of all: they are much more into jazz/classical, have a greater interest in hi-res audio, have a sufficiently robust obsession with new technology and the bandwidth to supply it. Paradoxically, what Japan doesn’t yet have is a music streaming service. At the other end of the playback chain, a handful of DAC manufacturers are now officially MQA accredited. Stuart’s software gets embedded on a chip that stirs MQA’s special sauce into the digital signal immediately prior to signal decoding. However, with D/A converting silicon coming from a range of companies – Burr Brown, ESS, Cirrus Logic, AKM etc – the MQA code must be customised accordingly. In order to prevent signal blurring, it must be tuned to each make/model of downstream DAC chip. This is why we don’t yet see MQA-accredited streamers that only output (digitally) to a user-selected outboard DAC box – how does the MQA software know to which DAC chip it is talking? Stuart says an adjustable MQA software decoder will come “eventually”. An MQA-accredited DAC will render and decode the entire MQA-wrapped hi-res file but only as far as its own sample-rate ceiling will allow. For example, should an MQA app exist for the iPad, up to 24bit/96kHz is possible whereas something like Mytek’s forthcoming Brooklyn will decode and render up to 24bit/192kHz. A DAC not equipped with MQA software will still read the portion of the MQA file fenced off by 24bits and 44.1kHz – as it would a normal PCM file – but it won’t carry out the hi-res unfold or rendering. Decoding and rendering – we should take a moment to define and separate these two processes as they relate to MQA. Decoding refers to the first step: recognising the incoming stream as an MQA file and unfolding any hi-res content (should it exist). Rendering is where the MQA software optimises the signal immediately before it is converted to analogue, thus mitigating the DAC chip’s potential to blur time-domain information. What news of MQA-encoded content? During this year’s CES, Norway’s 2L Recordings announced its first selection of downloadable MQA titles; 125 albums, personally overseen by Morten Lindberg. Translation: beautifully-recorded music but that of a more audiophile aesthetic. Jack White he is not. That same week, the UK’s 7Digital proffered ‘indie label’ MQA content. A download store that promises “hundreds of recordings” out of the gate and “thousands within the first few months”. 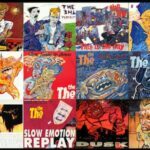 It’s hard then to blame ill-informed skeptics for eye-ing MQA as yet another new file format set to follow in the footsteps of DSD: loud-hailing of its next big thing status; message amplification by a handful of influential reviewers; ongoing promises of a broader catalogue (that’s forever just around the corner); a rush by manufacturers to include full compatibility so as not to risk losing sales. 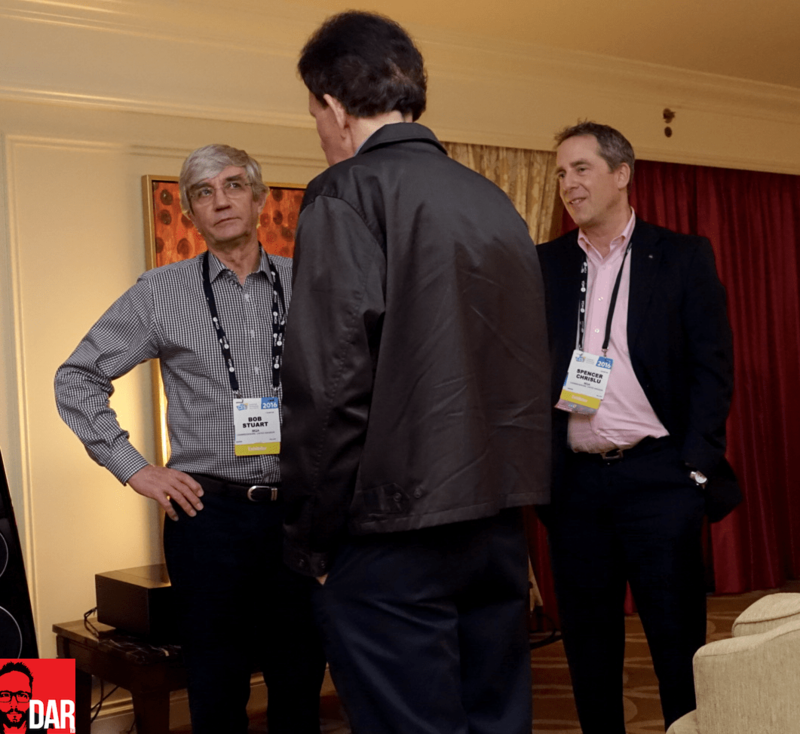 Bob Stuart [left] and Spencer Chrislu [right] field questions at CES 2016. Does past experience not tell us that it’s content availability – backing by rights holders – that ultimately determines a format’s success, especially in realising adoption beyond the walls of the niche that provided the initial push? This publication isn’t aimed at those who would determine what music to listen to on the basis of its delivery format. I sincerely hope you punch play on an album because you like that album, not simply because it sits on your server in DSD (or hi-res PCM). If it just so happens to be available to you in a better quality package, all the better. On the other hand, audiophillia isn’t “all about the music” either. Hardware matters – it helps us realise the potential of superior recordings even if that means enduring the simultaneous exposure of inferior recordings. We must each find our a system sweet spot such that it maximises our enjoyment of listening to the music we like most. For yours truly, that means pursuit of better sound that continues to extract more enjoyment from artists like The Hold Steady, Bowie, Nick Cave, Tom Waits, McLusky, Built to Spill, Aphex Twin, Zomby and Plastikman…but not sound so revealing that any studio-determined shortcomings begin to subtract from the enjoyment factor. A balance must be struck. I carried this viewpoint, underscored by a previous MQA experience at last year’s Munich HighEnd show, into MQA’s Venetian Hotel suite at CES. 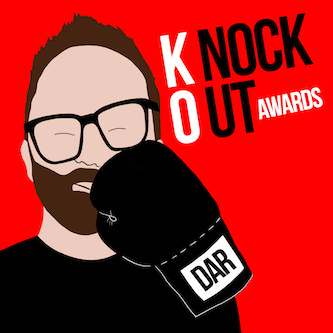 There I spent an hour talking all things MQA with Bob Stuart’s off-sider, Spencer Chrislu. Few audiophiles will welcome the news that they’ll need a new DAC or DAP to reap the benefits of MQA-encoded material, especially with there being so little of it available for download. After all, it’s only new material encoded at the studio that stands to benefit, right? Wrong. This is where MQA gets really interesting. It isn’t only freshly recorded fare that sees sonic elevation from MQA. All recorded music, past and present, can potentially, allegedly sound better with MQA applied. Stuart and his team claim that any existing digital file can be processed via the MQA algorithm and therefore have corrected (‘de-blurred’) any temporal damage wrought by the original ADC. That means better sound across the board for MQA-processed content whether played back on an MQA-equipped DAC or not. Let that sink in for a moment. How does this work? If known, the encoder can be measured and mathematically modelled and then fed into the MQA algorithm used to process the file. If the original encoder is not known, the digital file can be pre-processed for a best guess as to the original ADC chip’s identity. Stuart says that ADCs used in the early days of CD were particularly poor and that we can expect MQA to bring some fairly substantial improvements to the table. Our man from Huntingdon refers to this process as fingerprinting. And every piece of hardware used to get the music from the studio to listener can apparebtly be MQA fingerprinted. Remember how any MQA software loaded into a certified DAC must be tailored to fit the adjacent DAC chip? Each make and model of chip is fingerprinted so that MQA can optimise sound quality. Recapping: MQA DAC or not, MQA-processed source material promises better SQ than that which hasn’t been run through the algorithm. Add an MQA DAC to your system for a further improvement. If true, does this not render my 10,000-strong CD collection ripped to FLAC second rate? Does this mean I gotta buy it all over again? For those listeners like me who are passionate about improved source file quality extending beyond the usual array of audiophile-centric titles, MQA has the potential to be a very big deal indeed. DSD it is not. No doubt this is why Chrislu told me at CES that MQA are not interested in becoming a plaything for the audiophile niche. They are seeking much broader adoption of their (de-blurring) encapsulation process, one that can be authenticated by any suitably MQA-equipped end user. My opinion, one shared by an already-MQA-certified DAC manufacturer, is that such broader adoption hinges initially on Tidal flipping the switch on MQA-processed content; which means both hi-res and revved-up Redbook. Rumours suggest that Tidal are almost ready to roll but not before labels sign off on its licensing. The number of hi-res titles to be streamed by Tidal (that will travel in 24bit/44.1kHz or 24bit/48kHz containers) will likely be ultimately dwarfed by the number of MQA-processed Redbook releases. Bets have been hedged with cautionary language in this piece – e.g. “allegedly”, “potentially” because whilst I’ve heard a few MQA demos that did indeed sound downright marvellous – Bob Dylan’s “Don’t Think Twice (It’s Alright)” and The Doors’ “Riders On The Storm” in Lenbrook’s CES demo space and a 2011 Wilco cut (from The Whole Love) on Meridian actives in MQA’s own suite – I am unable to state with any authority just how much better MQA sounds than music encoded/decoded using traditional methods. With high street stores closing at a rate of knots and single-person dwellings and Internet usage moving in the opposite direction, is it any wonder we see so many folk willing to let their prejudices flow prior to a full understanding and/or first hand experience? I’m reserving judgement until an opportunity presents for an A/B proper and I’d urge readers to do likewise. It remains to be seen just how MQA intend to win hearts and minds beyond Tidal Hifi subscribers. Perhaps they have plans for the considerably more popular lossy streaming user base? Spencer Chrislu alluded to as much during our CES meeting (but I remain hazy on the specifics). Perhaps only when MQA usurps Ogg Vorbis, AAC or MP3 as the transmission method of choice for Spotify, Apple Music and Pandora will MQA be a game changer in the truest sense: that is, improving sound quality beyond audiophile space. That said, the theory remains compelling. Those dropping cash on an MQA-compatible DAC stand to gain the biggest audible lift from MQA-d music but even those sticking to their existing non-MQA DAC should hear an improvement. MQA potentially offers something to everyone. How very democratic. That is sort of the big elephant in the room isn’t it? I’ve heard the some of the same demos that you have John, and while the MQA encoded/decoded tracks sound great in and of themselves, I have never heard an “MQA to non-MQA” comparison of the same tracks at a demo. This would help to give people a sense of just what the difference is and if it’s noticeable. I can appreciate the desire for an end-to-end solution, God knows that what’s done from microphone to mastering tape has so much more to do with with the quality of the recording than the ultimate file format we choose to consume. A bunch of people in the industry whose opinions I have nothing but respect for, are on the MQA bandwagon and that does mean something. But it’s my ears and my money that will make the final choice so, until I’m able to judge for myself said merits of MQA encoding/decoding, there’s going to be a wee little part of me wondering if this isn’t all just one big licensing revenue grab. The listening session lasted about 45 minutes one morning before the show opened. MQA co-architect Bob Stuart and Wilson Audio’s Peter McGrath (who also happens to be one of the world’s finest classical-music recording engineers) were on hand. We first listened to one of Peter’s spectacular opera recordings (Tosca) in the recording’s original 88.2kHz/24-bit format. Then, seconds into the MQA version, my jaw dropped—literally. MQA’s dramatic superiority made the original high-resolution file sound like a pale imitation of the performance, a view shared by Peter. Before the music even began the hall sounded larger, with the acoustic better defined. A glare was stripped away from instrumental textures, leaving behind a gorgeously liquid rendering of timbre. The positions of instruments on the stage, and of the musicians within the acoustic, were precisely defined. Even the applause at the end (it was a live recording) was vastly more realistic. Now consider that the original file had a bit-rate of 4.237Mbs, and the MQA file a bit-rate of 1.4Mbps—low enough to be streamed. Seem like trying to correct existing digital files will be disastrous for MQA. Back in the day any crap was considered an original master. EQ’d vinyl masters, 3rd generation safety copies. A to D to A copies. You name it. I feel like Bob Stuart knows that studios don’t want to re-encode “anything” so he’s trying to keep his dream from falling apart by offering everything to everyone. Sort of like a politician who keeps pandering. What’s next? MP3 to MQA hi-res correction? But what of MQA’s promise to make existing masters sound better? Why would that be disastrous? Audiophiles have always wanted guaranteed provenance. Now all of a sudden MQA can improve existing digital files or whatever Bob Stuart decides MQA means next week or next year. Old digital files are just that. They were made with old technology. There have been vast improvements in mastering and digital transfers using equipment with low jitter clocks etc. The old digital files need to go in the dumpster. They need to start from the original analog master tapes and encode if MQA is gonna have a chance. Otherwise it’s just being diluted for the sake of putting an MQA logo on the front of everything to create a revenue stream for Meridian. So, establishing a Year Zero on masters will *help* MQA’s uptake. In other words, substantially more work for studios and labels will help MQA? I think MQA’s promises are fairly plain and simple to understand: they can make old digital files sound better but without going back to the original tapes (assuming they exist) and pulling off a fresh master. Didn’t Stuart himself say that you need to start fresh and re-encode the transfers? Now all of a sudden “well what I meant was we can use the existing files” It’s just a compromise because maybe he found out what we’ve always known. Labels don’t care about anything that requires them to actually do anything. They’ve been trying to pass off upsampled crap for hi res remasters for years. And are totally uncooperative with the industry. Yeah the tapes are getting old but they had decades to do something and did nothing! IMO putting MQA stamp on everything is a mistake. I know not about what Stuart said about MQA prior to May 2015 when, in Munich, he explained how MQA’s approach was dual-pronged: 1) create better-sounding digital files from the studio ‘tapes’ and 2) correct existing digital files. “Labels don’t care about anything that requires them to actually do anything.” I can certainly see why you might think that. From the little I know of the studio engineers, many are reportedly quite content with the way things are. Changing institutionalised behaviours/workflows is no mean feat. Wow..how is it possible..the the voice in your video of the mqa demo ‘riders on the storm’ sounds impressive even when listening to it on my cell phone..! What was your personal impression? Did it blew you away as we have read in other reports like stereophile, or..? Indeed A-B comparison is required..It might reveal that a cheap streamer / DAC combo with MQA will outperform expensive high-end streamer / DAC systems without MQA…. As amazing as it DID sound Peter, how do I know an non-MQA version wouldn’t sound almost as good? What was amazing that the decoding was being handled by an entry-level Bluesound streamer and its internal DAC, all fed to the pre-amp via stock standard RCA cable! PS I use a directional mic from Rode and not the mic built into the iPhone 6S+. But I certainly trust your ears and brains as much as I do other experienced listeners..! You will sure be able to distinguish ‘best sound of the show’ as well, like you are able to review a new DAC or loudspeaker etc. Point of order here, Peter: awarding best in show is a considerably less rigorous/formal process than conducting a review at home. Am I wrong thinking that I read somewhere about a forthcoming plugin that can stand in for the second ‘end’ of the end-to-end MQA process? If so, one needn’t even have an MQA-ready DAC but can install the MQA plugin on a computer to enjoy the full Monty. I thought that was part of the concept – that MQA can exist as hardware, software or both. But I didn’t spend any time at CES so perhaps I misunderstood? Can you shed some light on that aspect? I didn’t take this further as Stuart was suitably vague about the specifics when I spoke to him on the phone last week. If he were to introduce this now – for streamers, for OS X, Windows, iOS and Android – then MQA-certified DACs would be DOA. One can only assume that he’s rolling out MQA slowly and according to his own timetable/balance sheet. Personally, I find it difficult to be excited by MQA. On paper everything looks great – it makes a lot of sense and by all reports sounds better vs. non-MQA format. The problem for me is that it will always have limited reach. High-res, MQA etc are aimed for people who care more about the hardware than the music. People are getting excited over streaming services like Tidal offering MQA – Tidal’s library is dismal as it is. MQA is about selling DACs and nothing else – there will never be an MQA library big enough to warrant supporting it – Tidal and Quboz only just warrant support now and they only offer ‘basic’ lossless. The biggest shame is the ‘decades of R&D’. Imagine if audio companies spent ‘decades of R&D’ purely on D-A conversion of a typical redbook 16 bit file. Literally ALL of the music would already be available and I’d wager it would sound better too. I’m not aware of how ‘decades of R&D’ as relates to music’s delivery tech is connected to library size which is more a matter of licensing (and lawyers) – no? Library size has two elements I guess – the music catalogue, and the formats of which that catalogue materialises. My point is that before even getting to MQA (format) there isnt yet a single streaming service that has a complete (or even adequate) music catalogue, hence why most of us are subscribed to two or three. Even if all the Tidal streamable content was MQA (which is the very best case scenario), it would still be inadequate. So sure we can all get excited about MQA but in the end its all completely moot because there will never be any substantial library of music made up of MQA files. They have spent ‘Decades of R&D’ on music delivery tech to which there is no music to deliver in the first place – that is how the two are related. Tidal’s catalogue is inadequate? For you maybe, but not for me and many of my audiophile pals who are also Tidal users. Not by a long shot. Think of this way: if only a tenth of Tidal’s current library of 30 million songs met with MQA post-processing, it would still outsize the current number of DSD and hi-res PCM in circulation files by at least 10:1. I guess that is at the crux of it – I do find Tidal’s library inadequate. Most of my music-nerd friends do too – and especially those who listen to classical music, but this probably isn’t the place to discuss catalogue limitations of specific streaming services. In your comparison its only a matter of perspective. A tenth of tidal would outsize the current number of DSD and hi-res PCM – but that is completely meaningless because those formats may as well not exist. The comparison should be made to standard-res PCM, as the most widely available lossless format, in which case it is a tiny amount of music. Aha – classical. That’s the difference between your tastes and mine. Would you agree that classical music tastes are more readily found among the traditional audiophile community than say a love for 1990s electronica or mid-00s indie rock? Can a 32 bit container also be a future or possible option ? I have noticed there exist two MQA versions. One “normal” MQA and one MQA Studio file – one based on a new, exclusively sourced, artist/producer-approved studio master. Do you know how to distinguish between those two MQA options, and is it only by an indicator on your DAC, and later your streamer or SW-player that will let you know. Possible to better explain those two versions or options ? Thanks for final clarify that we do not have to purchase new expensive equipment, but rather be patient in order to enjoy MQA on our existing equipment. Just think if or when Chromecast Audio will be able to deliver MQA via Tidal. Andreas R – your understanding of MQA seems to be ahead of the curve. I believe a different colour will light up according to which type of MQA is seen by the DAC. Of cause different colour. As stated in some user manuals. I was trying to get an explaination of the different MQA options possible to be delivered from the masters, as I do not understand the difference. I was hoping you was able to find answers to my questions, or do you think they are irrelevant ? Basicly I’m trying to understand some simple technical basics of MQA. I believe they should be very easy for Bob to answer. And he should be asked. Here is an other thing I’m wondering about. As you know several CD versions can be issued of the same original master. Maybe one original 1979, and a remaster 2011, and even a de lux version that most likely have one or more tracks added. So how many MQA versions can you be prodused of that record ? (Only on Tidal or download which I expect to be the same, as you in theory can make MQA CD’s in addition). The answer is of cause you can choose to make an MQA version of the de luxe version in addition to original issue, as that one is different from the original record based on content. And only the record company can answer that. But can you make a original MQA and a remaster MQA from the same master ? If yes, why , and what is the reason behind ? Those that are encoded in the studio – i.e. at SOURCE – with a DAW plugin and those that are processed having already been encoded to digital without MQA will show up as different coloured LEDs on the DAC. Let’s take REM’s Murmur for example. In theory, MQA could be retrospectively applied to both the original CD release (rip) AND the 2CD anniversary edition; no need to go back to the studio – simply run the existing digital files through the MQA algorithm. More technical question on the specifics of the process will no doubt emerge in time…or not depending on to what extent Stuart wishes to protect his IP. As for which catalogue releases get the retrospective treatment, one would assume that whichever existing masters/releases are currently streaming on Tidal would point the way to what will be MQA-d. As much as I’d like to see both original CD master and any subsequent remasters made available simultaneously, I fear that might be asking too much. Where else do we currently get a choice of master (beyond ‘illegal’ channels)? What I have seen a lot these past few days from commenters here and elsewhere are varying degrees of a sense of entitlement to be told, right now, precisely how MQA works at the software level. The implication being that if those details aren’t forthcoming then MQA must be snake oil. One often sees this same ransom-holding tactic levelled at cable manufacturers. People *demand* on-screen proof because they aren’t able to listen for themselves. Maybe, just maybe, Stuart could keep schtum about the tech specifics of MQA and it perform as described? It is the usual “hey Quad DID is the ultimate format…” type discussion being done here I fear. BTW what happens when Octa DSD comes along, it is lot like we have started hitting limits of science with QDSD. It is right to point out that MQA applies to PCM. However, I feel there is an attempt here to glorify DSD. On the contrary I think MQA is a game changer simply because it gives us the ability to work with most of the musical information in a recording but within limits which are easy to manage. The other point of MQA is its ability to verify or sanity check on the content being delivered a bit like the tools we have to check that a data file has not undergone corruption during transmission. The ability to do this to musical information is the wizardry in MQA and for everyone’s benefit, MQA is not just for low bit rate streaming, it is also effective for high bit rate audiophile grade material. All these acronyms aside, the ultimate proof will be that it really makes a difference to the quality of reproduced music and it does not matter what so called experts claim to hear, unless the difference is clearly evident, there is no point. And unless there is clear evidence (through a video or by being there) that there has been a scientifically conducted double blind test, don’t believe anyone when they say they have heard the ultimate, they are probably not even sufficiently trained to scientifically evaluate acoustics to any manner or degree. Of course most of are don’t have a training but the difference is we don’t go around claiming to have heard the ultimate. An attempt here to glorify DSD? On DAR? You’re joking, surely? Okay I have to apologize, my mistake, I seem to have gone from one video to the other and commented on a totally different video to do with two so called experts comparing dsd to mqa. Feel free to remove my comment. Do we know if any pre-MQA DACs can be upgraded to decode MQA tracks or do we need to discard our current DACs? I’m thinking if DACs that use FPGA can be made MQA ready by downloadable firmware updates. A software decoder/renderer in a streamer will allow us to keep an existing in play. That’s on the dev timeline I believe. As for FPGA DACs, I guess that’s a matter for Ted Smith and Rob Watts. I wouldn’t dare speculate on their gear. MQA is complicated and multidimensional. This piece took several days to write because of it. Highly controlled demos by MQA? That’s what I saw at Munich, yes, but the broader anxiety among naysayers is perhaps a result of a sense of entitlement to have all the info, all the music and all the necessary hardware available to them right now. As with any new complex tech that requires involvement label/studio and both ends of the playback chain, that just ain’t gonna happen. If people aren’t wowed when it comes to market proper, then fair enough. But we should at least give MQA a chance (that means time!) to prove itself. Especially as we gave DSD almost half a decade to prove its worth! If MQA can work for existing masters by taking into account the A/D hardware, why can’t the same happen on the D/A side. If I can tell the MQA decoder in my streamer what DAC will do the D/A conversion (and honestly there just aren’t that many consumer DAC chips) why should I have to buy new DAC hardware? 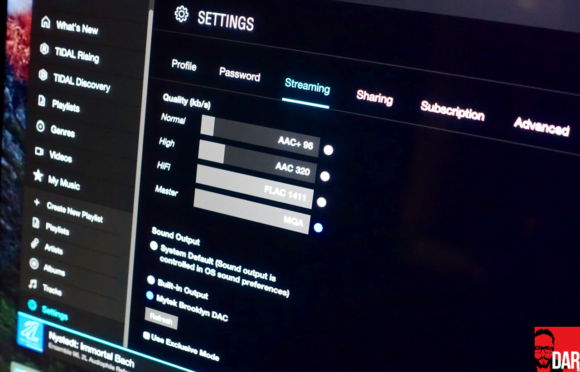 As mentioned in the piece, a software decoder like that (for streamers) is in the works. Now I know where the Pono “blue light” came from. They were working with Stewart & Meridian before going to Ayre. This album is the first example of a “white-glove” process utilizing the MQA technology. If we play the old CD, the music is in there – but also all the problems of early digital converters: the sound is indistinct, brittle and grainy. Morten is a great recording engineer, as can be heard in this earliest work; he is also a careful archivist with the original equipment in the cupboard. We used special signals to capture the characteristics of the digital converter so that the MQA encoder could remove its ’fingerprint’ and reveal the original sound. This isn’t changing the music in any way, it’s more like cleaning an old painting that had been stained with smoke. Done carefully it doesn’t change the picture, it reveals the artist’s intent by removing an obscuring film. Using conventional digital converters and processing, audio has been blurred more than we realise and in a way that makes it unnatural, remote and lacking immediacy. To overcome this, modern ’re-mastering’ will often add artificial reverberation and compression to try to restore brilliance and a sense of space, but it never succeeds. With MQA we don’t need to ‘brighten’ or ‘add’ – the artifacts are removed and what is left is the brilliant, sensitive, and natural original. If I can get the same listening pleasure from an MQA encoded Tidal stream as I get from Mike Fremer’s dowloaded radio shows ripped to AIFF from that silly turntable of his, I’m in. Given the complexities of music production, I can’t picture how the MQA front-end authentication process can possibly work, except for the simplest projects. It’s not uncommon for different ADCs to be used to capture a song’s multiple vocal and instrument tracks. Some electronic sources are never ADC’d to begin with. Then there is the “in-the-box” DAW mixing/mastering process involving different plug-ins, sample rates, and other DSP processing. Many engineers choose to bounce from digital to analog and back multiple times in the course of a production. If the MQA algorithm can somehow “de-blur” all that on the production side, it is something special. In addition I have an upgradeable DAC, I wonder where the Analog Devices AD5547CRUZ chip is on their list? John, I fairly certain MQA is technically lossy when you playback the file through a non-MQA decoder (at least based on Meridian’s patent filings). I can’t speak for the labels, I’m afraid. Good point. It’s still unclear to at least me if the claimed positives outweigh the costly negatives. I will keep an open mind though and look forward to more updates John. I am surprised to notice how many people respond negative towards this new format before they even actually heard it.. Since you witnessed the introduction of MQA in Munich and at CES, it will be worthwhile to hear your personal impression on MQA as well John. I suspect thats why the Hi Res download industry is ” scamish” for 6 out of 10 websites. I’m excited that MQA would quantify what you just bought. I’m also very excited that someone is making an effort to improve the quality of digital music. I don’t see too many others doing that successfully I truly hope it succeeds; if it works it will sell if not it won’t. -Malc Rob Tidal never promised to be all things to all people, Classical has been its own sub set for a long time now. As long as I can remember classical has had its own speciality stores, speciality download sites, why would you not expect it for a streaming site? 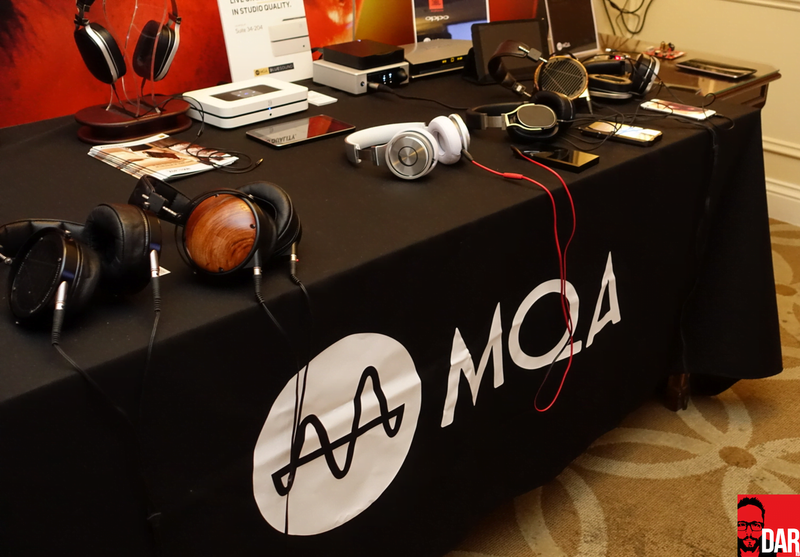 I stopped by the MQA room at CES for a listen to both the music and the pitch. 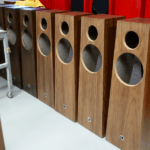 The music sounded ok, but nothing any different than I would expect to hear in a listening room at my local Meridian dealer… certainly no “magic” and of course no a/b comparison to a FLAC version of the same content. With all the benefits of MQA being touted, I explicitly asked whether there was any accommodation for “transcoding” existing digital content and the response was absolutely not due to maintaining provenance, MQA content would be remastered as MQA content… which is good for anyone buying / re-buying content, but bad news for existing libraries. How much leeway will the labels really have? Who knows. Am I now itching to replace my DAC with an MQA-capable DAC? No. Do I think MQA will benefit Tidal (reducing bandwidth / increasing SQ) when rendering in software on PC’s and smart phones? Maybe, but I don’t expect to see dramatic reductions in my mobile data usage. Would I buy 24/44.1 MQA content? Yes, with a modest premium over the CD version, but if it costs as much as the hi-res FLAC or DSD version, then I’ll most likely opt for the latter from a reputable store-front. Also Meridian is releasing MQA firmware 4th February, according to their website. Are sellers like HD Tracks gonna sell compact MQA versions of the lousy hi-res upsampled provenance-less files they now sell? I don’t know – why not ask them? I was being sarcastic! HD Tracks doesn’t care what they sell. They say “Don’t ask us we don’t make it. We just sell it”, when it sounds terrible. Pretty poor excuse for guys who run an audiophile label. Haha, ok Larry..well it seems the whole audio industry is shaking up their feathers with the introduction of MQA. I personally am a bit over enthusiastic to be honest..hoping it will be the ‘holy grail’ in digital audio playback So let’s all wait and HEAR what will be our ‘truths’ at home..
Hi Peter, I think every audiophile is hoping for the holy grail. I just wonder if some in the industry are more interested in creating another revenue stream. I think this when they talk about correcting old digital masters. Converters are much better now than they were 30 years ago. And better in every way such as jitter, use of higher quality components. The mastering chain/process is much better too. I think to go back and correct filtering etc is a waste of time. Unless of course it’s a full digital recording and there’s no alternative. I’d like to hear a comparison of end to end authenticated remastering of an analog recording that’s MQA encoded compared to a hi-res version to know if I can hear better temporal resolution. I think DSD has better temporal resolution than 192khz PCM. But DSD has that issue with noise which I think is noticeable. Thus an improvement in temporal resolution with PCM may be the ultimate. Personally I wish all this was done on a physical tangible disc instead of streaming/downloads. I understand your points Larry. A few years ago, before MQA appeared, I was imagining a solution which would ‘watermark’ the sound of the Mastering Room in a signal which would be available on each CD. In my fantasy, this would go even a step further than MQA and would include active DSP and acoustical feedback from the listening room to the loudspeakers as well. Frequency and time response behavior of the mastering room can be analysed and measured and used for calibration and correction purposes of our listening rooms.. Off course this will never turn a 2000,- USD system into a 20.000,- USD system in terms of transparency, dynamic range etc.. but who knows..how close we can get to the original brain and taste of the recording engineers..? With nowadays computing power at low costs and all digital ( phase-, time- and EQ correction options, this approach is already achievable, as long as someone is interested to build such a solution..
Another approach / idea I had, was to capture the sound from the mastering room by dummy head and record it binaural for playback by headphone (after calibrating for EQ differences as well) and offer this as a second CD or second layer or whatever.. But anyway, the MQA approach contains some interesting ideas and although it will probably be another (and intelligent) way of sound shaping, it is the end result that counts. I have left the idea of ‘prism’ already a few years ago..There is no such thing as the perfect solution. I have been doing some experiments with off-the-fly upsampling of 16/44 to 32/192 and enjoyed the positive effect this has on my DAC (35 bit, 844 kHz PWM processor) and in this combination it sounds better (to my ears..) than the original CD. Some companies, like PSaudio, apply on-the-fly upsampling to DSD and also achieve audible positive effects. This seems like a DRM Trojan horse. The ‘authenticated’ part ought to scare anyone who has enjoyed DRM free Hi-Res music. We can stream 4k video. Audio is trivial. Some of us don’t really want some proprietary DSP filter applied to our music. The idea that it will know what A/D converter was used has not been technically proven and I seriously doubt it can be. Even then this just seems to add useless overhead (and cost) to our music. Just heard MQA files for the first time today at my local hi fi shop where I also bought a mojo as well. Spent some time listening to The Doors Riders on the Storm via a 100 wpc Moon Audio integrated amp and DAC, Bluesound Node 2 streamer decoding the MQA files on a USB stick driving a pair of stand mounted Focal loudspeakers. What stunned me was how the drums sounded. You could hear and feel a real three demensional quality to the drum sticks hitting the surface of the drums. Never heard that from any hi fi rig before. Of course the vocals sounded great, clear, clean, well musical. I rushed home, fired up Tidal, played Riders on the Storm through my three-way active ATCs. Could not replicate the nuances of the drum kit I heard decoded from MQA in the shop. My mudic sounded flat, very two- dimensional. Pretty stoked to hear more from the master, Bob Stuart and his MQA magic.